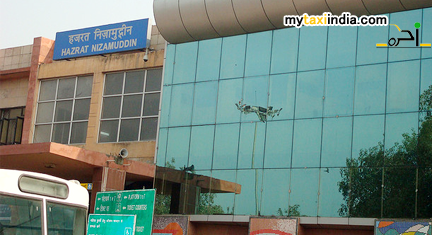 Hazrat Nizamuddin Railway Station is one of the five foremost railway stations of capital city of India, Delhi. This is precisely where trains originate. The railway station serves as a connection all the major cities of the country. It was constructed with an aim to provide relief from congestion on New Delhi Railway Station. Hiring a taxi in Delhi will help you enjoy the tour in the city and areas around better. At My taxi India, we take pride in claiming car hire and railway transfer services that are class apart. Hiring our services will help you enjoy a memorable tour to New Delhi and literally anywhere in the country. We will help you reach the railway station on time and move around the city comfortably. Our brilliant range of features includes flexible pick-up and drop-off times. We believe in ensuring state of the art car hire services, and customer care support sans getting heavy on your pocket. We are equipped with a full fledged team of dedicated chauffeurs to help you enjoy the best of tour services. They have undergone advanced driving training and hold expertise in ensuring excellent tour experience. With many years of experience in driving around the roads of New Delhi, you can expect a safe and thoroughly enjoyable tour with our chauffeurs.